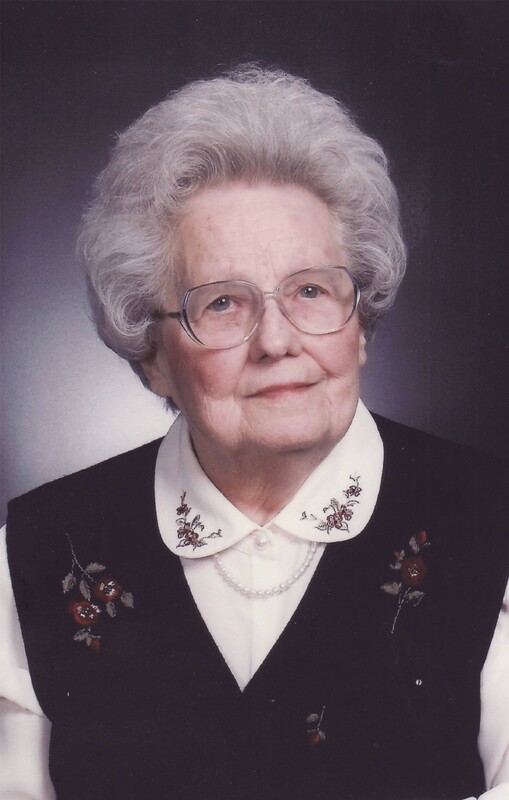 Joan Aeby, 96, widow of longtime Grace Brethren pastor, John Aeby, died Wednesday, March 6, in Waterloo, Iowa. She was born June 2, 1916 in West Alexandria, Ohio, the daughter of M. M. and Elsie Baker Hoover. She married Rev. John M. Aeby on June 8, 1939 in Dayton, Ohio. He preceded her in death on June 30, 1997. Joan was a piano teacher for more than 75 years and 40 years in the local area. She was member of the B Natural Music Club and the Iowa Music Teachers Association. She is survived by four daughters, Janet (Rev. Jerry) Kelley of Simi Valley, Calif., Sharon (Steve) Stitt and Susan (Ron) Vose both of Waterloo, Jane (Tom) Grady of Alpharetta, Ga.; one brother, Rev Herbert (Florence) Hoover of Kettering, Ohio; 12 grandchildren; and 31 great grandchildren. She was preceded in death by infant twins and one brother, Robert Hoover. Memorial services will be 10:30 a.m. Monday, March 11, at the Kearns, Huisman-Schumacher Chapel, 3146 Kimball Avenue, Waterloo, Iowa, with a private family burial in the Orange Township Cemetery. Friends may call at the funeral home from 3:30 – 5:30 p.m., Sunday, and one hour prior to the service on Monday. Those who wish may direct memorials to Cedar Valley Hospice or the Friendship Village Auxiliary.